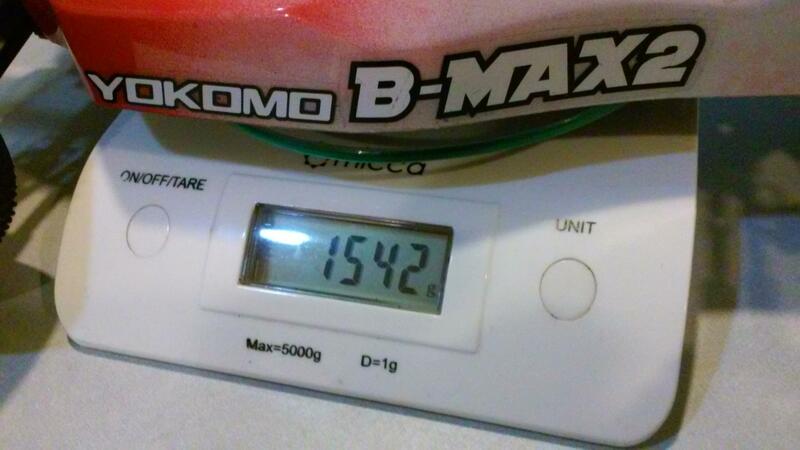 My car with my lrp esc, d3.5, orion shorty,92744 reciever with 22g of lead comes in at 1585. I have run as low as 2deg of rear toe with custom pills in the front holder. I was at the local clay track today for 6 hours trying many different set up changes. On my 17.5 car i ended up with 25 wt oil kit pistons losi red springs inside hole on tower no shims under the ball stud, .5mm shim behind sterring rack ball stud. I tried 5 different sets of tires. (some of which came off the car of the local top driver in 17.5 with 30 yrs of racing experience) At the end of the day with a clean 6 min run with no traffic i got within 1 lap of the normal pace of the top 10 with a fast lap within .6 of last weeks TQ. I have installed the v2 lower shock caps to stop the shock pump up issue but it still seems to happen. At the 3 min mark give or take the car goes way off and becomes a real handful and i instantly drop 1 sec/lap slowing down to keep the car between the pipes. The best tire set ups are the standard broke in gold bar codes with used red aka inserts or gold dirt webs with the same inserts both prepped for 15 min with trinity black dot sauce. This sounds like a problem I had. See if someone will run your car for you and see if the problem exists. Normally with what your saying its a driver issue not a car issue. You might be pushing the car more than it can handle and this will slow you down. 17.5 class is all about corner speed and being smooth. Also look at your lap consistency over the entire race. If your top 5 and top x(last column-depending on track size) are off by more than .2 seconds, the problem is you and not the car. I try to never depend on traction sauce as it is a handicap for a bad setup. New ride ready for tomorrow night. Should be fun. Clean... where did you run? battery inline 15 grams weight on each side of battery towards back. and I've already had others drive the car. Are you running on Ozite, or more industrial grade commercial carpet? here is a really good carpet setup from MarkA who seems to have a good grasp of the setup on these cars. See how well the following does for you. I'll post a slightly revised carpet setup for the inline pack and 1-piece chassis when I get a chance later but for now, a question, what inserts are in your rear tires? I was 99% sure closed-cell was going to be the answer. Even though logic dictates it should be better, in reality, you don't run closed cell on carpet. Even the way grippier Schumachers run best on open-cell foam and in fact, the fronts are often best with no insert. Does anyone at your track have some Schumachers on open-cell you can borrow for a run? This my latest and probably final evolution of my carpet setup for this car. One reason should be in the mail very soon, the other is that it's simply dialed for my closest carpet track and is limited only by the nut behind the wheel. 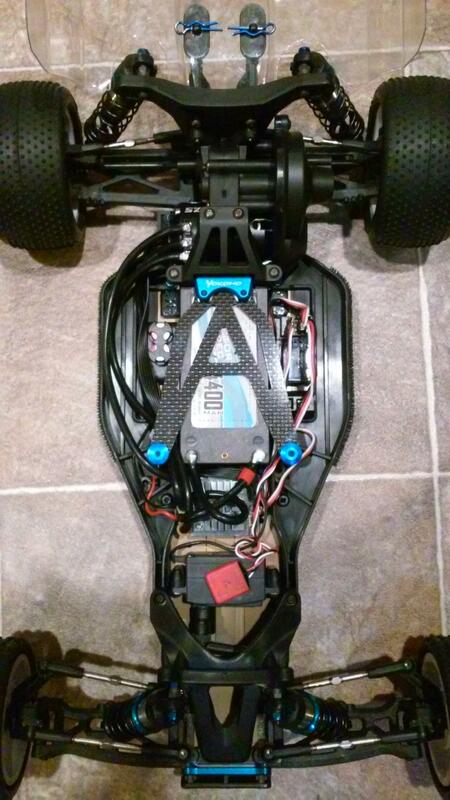 Also below are a pic of the car sans body so you can see the weight placement next to the battery. Ignore the messy ESC battery wiring. After a local, multiple track, race series ends and my YZ-2 is ready, this will become my dirt car so I needed to leave enough wire to flip the battery back to across the back easily. Pic of the car as it would hit the track on my scale is also below. The car has a 45g front bulkhead and another 10g towards the rear and comes in at 1542g so I'm always baffled at people reporting 1590g+ weights even when they're trying to get the cars' weight down. You can actually go inside the building the track this is for on Google Maps here. Not as "pretty" as some Euro tracks but always a fun time. I'd say get rid of the Pinpoints, these tires (just like the front Wedges) IMHO are useless. On carpet go for yellow Schumacher Minipins with Schumacher black inserts (on astroturf try the Schumacher tubby insert U6747) and LP cut stagger ribs without inserts in the front. Mounting the front tires on a cut slim front wheel is a lot of work, but worth the effort. If you run white wheels, you can get these tires as premounts (U6792 rear/U6801 front). I've used th dboots but I can't afford to keep using them (I only get about 6-8 races out of a pair of rears and then there bald. 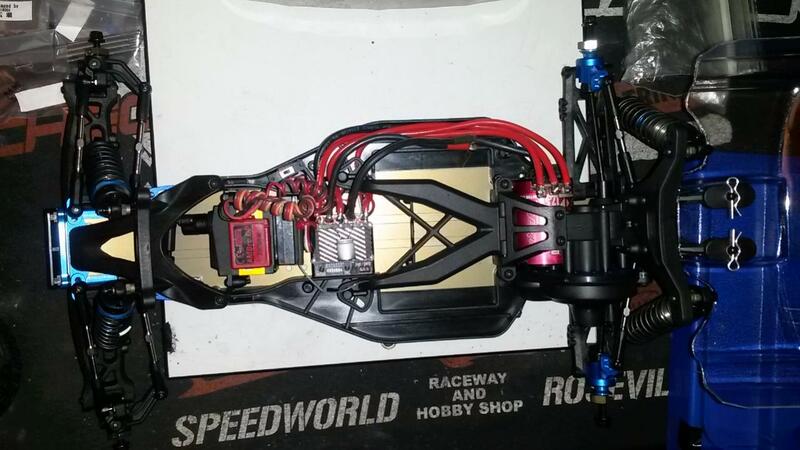 I had a durango buggy before the yokomo and could get half a season out of a pair of pinpoints. Never had the forward traction issue before so Im pretty sure it's setup issue, or it could be a bad pair of tires I guess. Schumacher > DBoots. The DBoots can get within a few tenths on speed but as you've already found out, don't have a good wear rate. There's a reason why at big races in Europe without a handout tire rule, Schumachers become the defacto/only tire used at the sharp end of the field. Our other carpet track in OR is pure Ozite and requires slicks. People have found that the Schumachers ground into slicks even outrun tires manufactured as slicks. 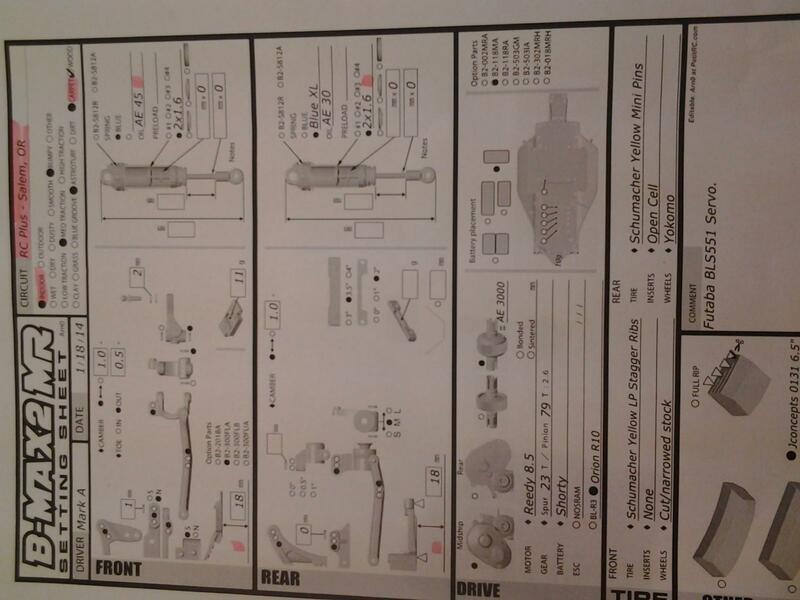 If you run white wheels, you can get these tires as premounts (U6792 rear/U6801 front). A note on the pre-mounts in the U.S. - None of the major online retailers (Amain, etc.) carry them yet but if your track has a Schumacher account, they can get them. They're on the wall right now at my local track's shop.